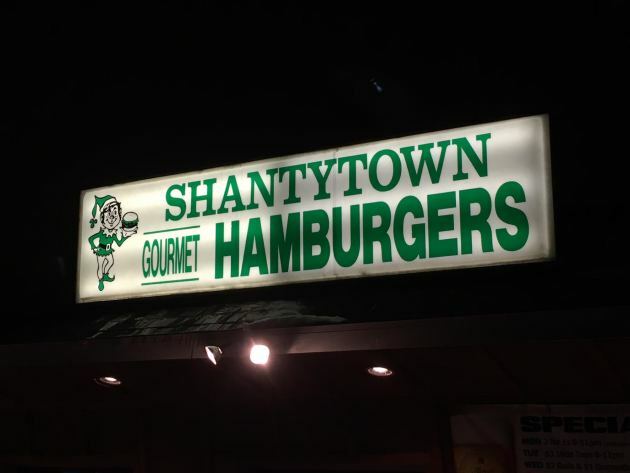 The burger: To my everlasting regret, I have been stupidly unaware of the existence of the Shantytown Bar & Grill. That is, until Burger Friday reader Kim Whalen of Lakeville recommended it. Thanks, Kim. No kidding. The location, on a sleepy street a few blocks south of I-494, pretty much defines unlikely, straddling the boundary between a characterless industrial area and a quiet residential neighborhood. 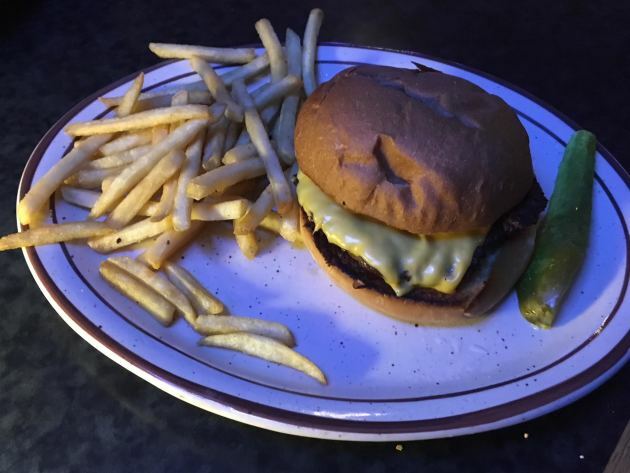 Nothing about the modest building's exterior indicates that it's the purveyor of a classic – the argument could be made for standard-setting – dive bar burger, sold at a barely-more-than-Five Guys price. The bun – a soft-yet-sturdy specimen that's baked at the nearby Denny’s 5th Avenue Bakery – gets brushed in butter before getting a dark, crispy toast on the grill. Cheese? It’s salty, gooey American, although Cheddar, Swiss, mozzarella and pepper Jack are available. The sole garnish is a standard-issue pickle spear. That’s it, just the three basic, well-handled burger food groups: beef, cheese and buttered-up bun. No pretense, no complications. Exactly what a dive bar burger should be. 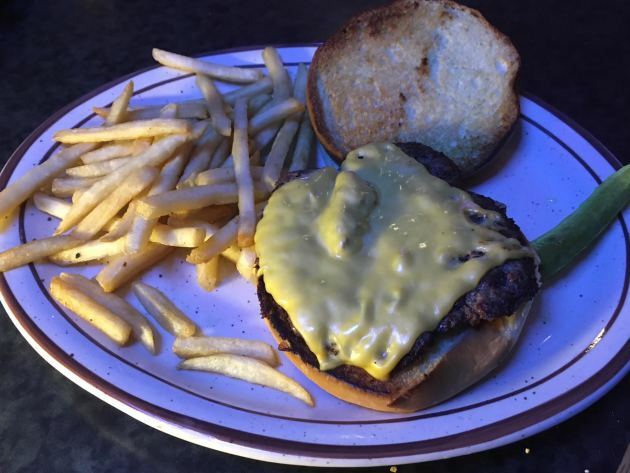 Price: $6.25 for a basic burger, $6.50 for a cheeseburger (pictured, above), $7.25 for a bacon-cheeseburger and up to $8.50 for a specialty burger. Fries: Make the $1.50 investment and substitute fries for potato chips. They’re a prepackaged product, in that familiar long, somewhat skinny shape, the ones that recall the McDonald’s fries of my 1970s adolescence. They beat chips, by a mile. One quibble: not enough salt.